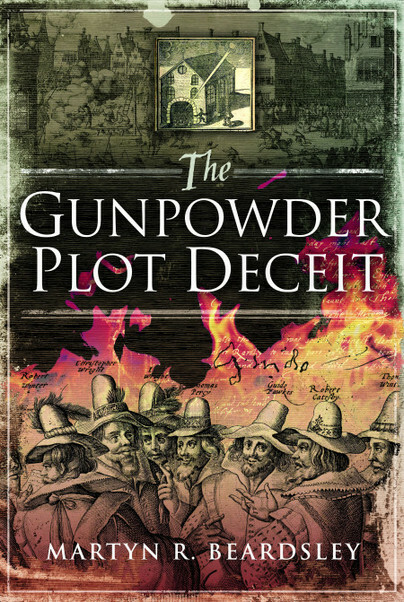 You'll be £11.99 closer to your next £10.00 credit when you purchase The Gunpowder Plot Deceit. What's this? Most people think they know the story of the Gunpowder Plot, and of how a bloody catastrophe was averted at the eleventh hour when Guy Fawkes was caught lurking in the shadows beneath the Houses of Parliament. But what if it wasn’t like that at all? How was it that a group of prominent, disaffected Catholics were able to plot for months with apparent impunity? How could they openly rent a house next door to the House of Lords and use it as their base – right under the nose of the leading spymaster of the age, Robert Cecil? How could they have hacked a tunnel towards their target and dispose of tonnes of spoil without alerting anyone – and why is there no record of anyone ever having seen such a tunnel? This book explores the idea that the government was not only aware of what the plotters were up to long before Fawkes’ arrest, but that agent-provocateurs may have given them a helping hand – or have even instigated the plot themselves. Like all good investigators, Martyn Beardsley asks the important questions. Such as how could Robert Cecil, one of history’s most notorious spymasters not have known of the plot? How did the plotters dig a big tunnel and remove tons of spoil without being noticed? Are there any records of anyone having seen such a tunnel? Well-researched, and putting its ideas across well, this book would make the basis for a most interest documentary. History is Martyn Beardsley's big passion, and he has written books featuring a variety of subjects and periods. He writes for children as well as adults, and got the idea for The Gunpowder Plot Deceit when researching a children's timeslip novel in which the main character goes back to the same period. His other non-fiction works include a biography of the Arctic explorer Sir John Franklin (Deadly Winter), and an account of Britain's last fatal duel (A Matter of Honour). He also contributes to the children's educational magazine Aquila. He is a full-time writer and editor, but tries to find time to indulge in a range of interests. He is a big sports fan, particularly football, enjoys cooking and makes a mean risotto, has an eclectic taste in music but especially folk and Celtic. He is a Buddhist and practitioner of Tai Chi. He was born in Nottingham, where he still lives with a half-deaf and fully mad dog called Max.